This past year we’ve told you about a couple games that are set in the mysterious world of art. Both Modern Art and Petite Pastiche throw you in with the masters. One has you trading in their works and trying to make your museum the most profitable, while the latter puts you as an apprentice with the task of copying one of the masters’ great works. It made us realize there are a whole slew of games with an art theme. We’ve not talking about games like Pictionary or Picassimo where your art skill might determine your success. We’re referring to game that either have a solid mechanic of creating works of art or set you in the art world where you are buying or selling (or both), or maybe just collecting! 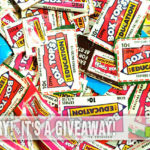 In this list you’ll find both current games and even a version that is well over 100 years old! Art has been around longer than any of us, but you’ll certainly notice an uptick in games that feature an art theme in the past decade or so. When possible, we’ve linked to a reputable place to purchase a copy for your collection. Some of the very old ones or versions that had limited release you may have to search out. Just like great art, the one you appreciate the most may be the hardest to find! 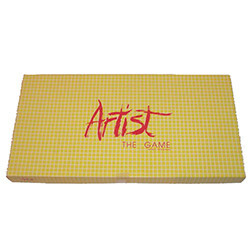 The game uses an Artist and Collector metaphor. Similar to “real life,” artists try to “create” (compile) enough art work to have a gallery exhibition and art collectors also try to “collect” (compile) enough work from varied art periods to have a gallery exhibition. Whoever completes their collection first not only gets to have their own gallery exhibition, but they also gain recognition, fame and fortune. And, best of all, they win the game. Earn “chill points” by painting landscape features like Happy Little Trees and Almighty Mountains using colors and brushes from your hand of cards. 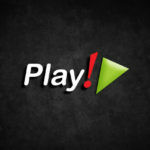 Keep your eye on what other players are doing and be strategic about the sequence in which you complete the features. 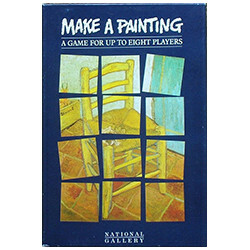 If another player beats you to the brush, you may want to wash your palette and shift your painting plan. All the while, Bob sets the painting pace as he advances across the easel, offering sage encouragement and bonus opportunities for even more chill. 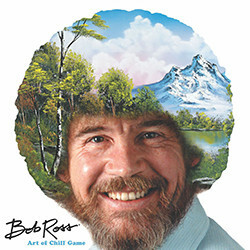 Finish one of Bob Rosss masterpieces before he does to win chill status. For anyone who has ever dreamed of being among the collectors and the collected… Of organizing the openings and celebrating the sales… Of starving artists in a garret for the sake of the muse… But be warned: in the game, as in life, it takes more than talent to win. Anyone can play Artist – but, it’s only the right combination of cash, canvases, contacts, and conniving that will make you a success! 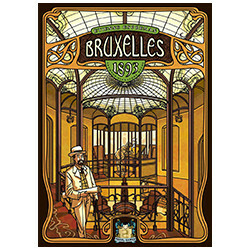 The Belgian capital has become the birthplace of an innovative movement that will impress all Europe and impact the greatest architects of the Belle epoque become one of Europe’s most renowned architects and artists at the beginning of the art Nouveau movement in bruxelles 1893, a board game of clever auctions and beautiful buildings for two to five players. Over the course of five rounds, you must compete to earn the most victory points by reacting to an ever-changing marketplace. 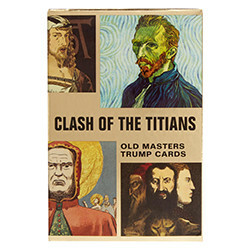 Combining a classic game with an art history lesson, these Clash of the Titians trump cards will provide hours of fun. 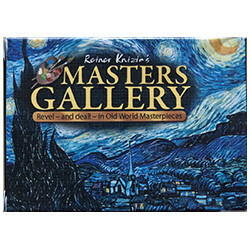 Featuring 32 Old Masters depicted in their personal painting style, players can pit the famous artists against each other and learn fascinating historical facts along the way. 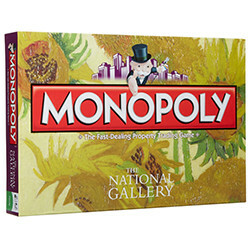 BUY DIRECTLY FROM THE NATIONAL GALLERY! 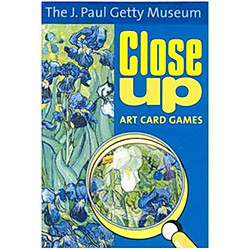 Discover art of the great museums of the world as you play 5 fun card games, including “Memory,” “Old Maid,” and 2 new matching games for children of different ages. 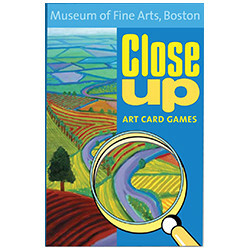 Turn your next visit to the art museum into a treasure hunt with each Close Up deck. 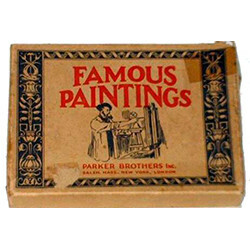 This old Parker brothers game comes with a pack of 52 cards each depicting a work by a famous artist. There are rules for playing 6 different games, most of which are similar to standard card games – Whist, Hearts, Old Maid, Slap Jack, etc. 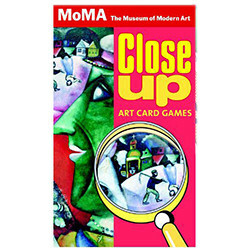 A few of the games use the paintings on the cards. 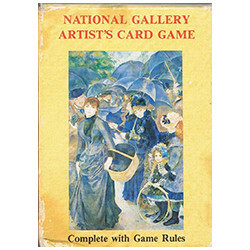 For example, in the Old Maid variation a player must ask for a painting by title and name of artist, and therefore players eventually become familiar with 52 masterpieces. Prepare your palette and ready your paintbrushes for final touch, a game of forged masterpieces and artistic sabotage for two to four aspiring artists. 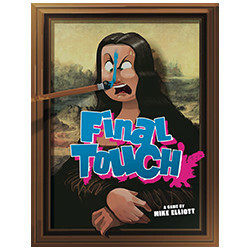 Designed by Mike Elliott, Final Touch is a card-based game in which players race to be the first artist to earn $25 by putting the final touch of paint on a forged painting. Play touch of color cards from your hand to either improve or smear the forgery, working both together and against your fellow painters. The first player to put the final touch on any forgery in the making will earn the money for that forgery, while smearing pays it out to your opponents and moves you onto the larger paydays. An atmospheric family game by Marco Ruskowski and Marcel Süßelbeck. The ceiling in the cathedral is getting on a bit and is in urgent need of restoration. The bishop is awaiting important visitors and wants to show off his church from its best side. 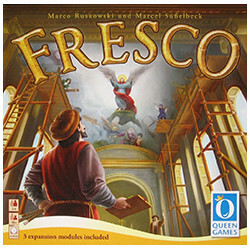 The players assume the role of the fresco painters in this colorful family game and have to prove their abilities: But only the player who plans cleverly can win! 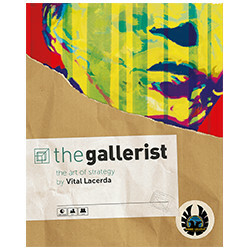 This age of art and capitalism has created a need for a new occupation, the gallerist, which combines elements of the art dealer, museum curator, and artists’ manager. You are about to take on that job! You will promote and nurture artists; buy, display, and sell their art; as well as build and exert your international influence. As a result you will achieve the notoriety needed to draw visitors to your gallery from all over the world. There’s a lot of work to be done, but don’t worry, you can hire assistants to help you and there’s a long queue of unemployed Art aficionados lined up, hoping to work with someone of your stature. 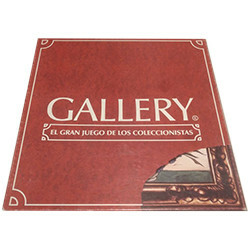 Gallery is a boardgame in which you must get the best painting collections and then show them in your own galleries, fully joining yourself into the exciting world of the art collecting. You are all employees of Glenn’s Gallery, a prestigious art gallery where you are learning the ins and outs of the business of selling fine art. Your job is to look at trends in the art world, and recommend to Glenn the types of art that are going to attract the most customers. Customers are represented by cards, and at the beginning of each turn, you have a certain amount of information about the customers that will show up this month. However, you also have to watch out for art students, who drive away paying customers! 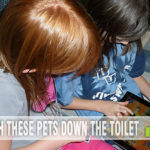 The aim of the game is to collect pieces to make a painting by memorizing their position on the playing area. Paintings are by van Brussel, Constable, van Eyck, van Gogh, Ingres, Renoir, Seurat, and Uccello. 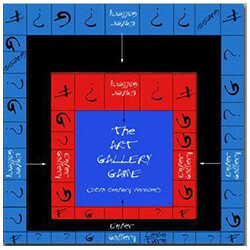 The MASTERPIECE game combines the excitement of a fast-paced board game with the glamour and sophistication of a game that deals with fine art. Some of the world’s greatest paintings, illustrated in full-color postcards, are an integral part of gameplay. Beauty is in the eye of the beholder, but in the high-stakes world of fine art auctions, there’s nothing more beautiful than making a buck. In Modern Art, players take on the role of curators, buying and selling paintings for their museum. Over the course of four rounds, they take part in a number of auctions, trying to get the best value for the pieces in their collection. Whoever makes the most money wints the game (and keeps their job). 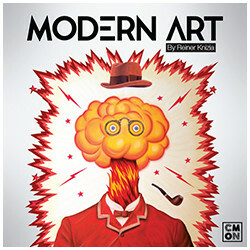 SEE OUR FULL WRITE-UP ABOUT MODERN ART! 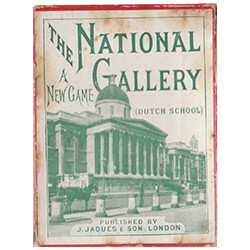 The National Gallery houses one of the finest collections of European paintings in the world. Explore the gallery by starting with Thirteenth-Century paintings, journeying by way of Renaissance masterpieces by Leonardo and Raphael, and finishing with Post-Impressionist works Van Gogh and Rousseau. 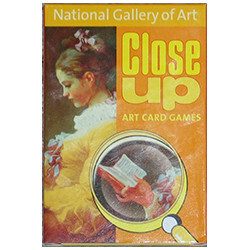 An antique card game in which the players attempt to collect sets of picture cards belonging to particular artists. The deck includes an Index card for each artist which specifies how many cards are in that artist’s set. The player who collects the most cards is the winner. A World of Beautiful Colors comes alive as players choose commission cards picturing 34 of the finest European art works of the past six centuries. Players score their commissions by mixing primary colors through clever tile placement and recreating the palette of colors used by the masters who created these works. 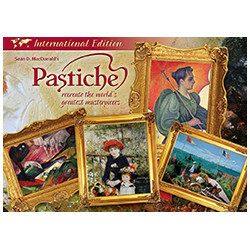 Explore the paintings palettes and pasts of the artists in this unique and challenging game for the whole family. SEE OUR FULL WRITE-UP ABOUT PETITE PASTICHE! Philanthropist offers people the opportunity to enjoy and learn about important paintings in Western European and American History. The object of the game is to be the first philanthropist to perform 3 philanthropic acts. 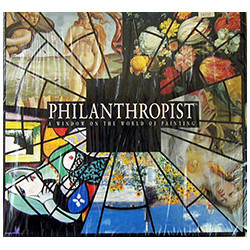 Philanthropist: The National Gallery, London is the second art history trivia game from Mecenes Inc., following the more general Philanthropist. 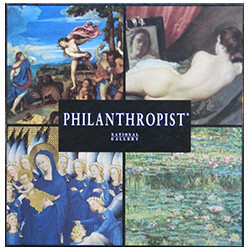 As the title suggests, Philanthropist: The National Gallery, London focuses on the holdings of one of Britain’s foremost art museums. You are Master Painters of the Renaissance! …Or you would be, if you had some paints! 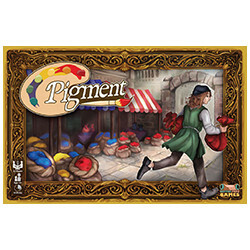 Send your two Apprentices to gather and trade Pigments in the crowded and ever-evolving Bazaar for your works. Each Bazaar Card has two useful effects to choose from, but each Apprentice can only use one each turn. Starving Artists is an award-winning, turn and time resource management game for one to four players. Players are paint-by-cube artists who collect transparent paint cubes in order to finish beautiful works of art for paint, points and food. Starving Artists uses some of the world’s most beautiful and famous works of art from world renowned painters like Picasso, van Gogh, Norman Rockwell, Goya, Georgia O’Keeffe, and many others. Maybe you have a budding artist in the family. Maybe you’ve always held a secret desire to collect or trade in one-of-a-kind pieces of art. Or maybe you just want to learn a little more about the world of art and the artists that everyone goes to museums to see their works. 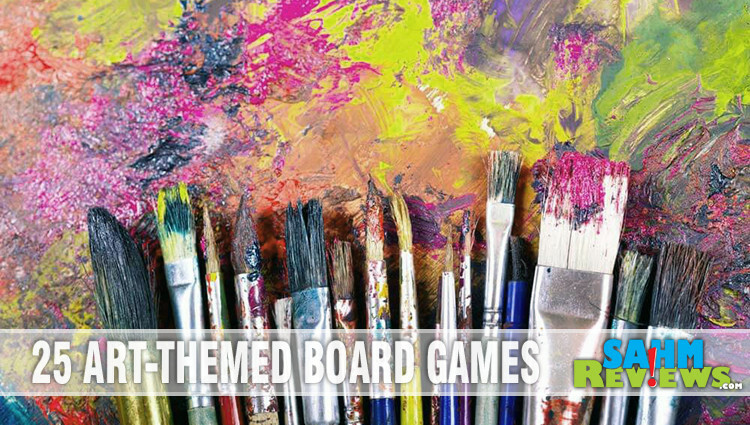 No matter your reason, there’s a board or card game that fits your art theme! Who is the best artist in your family? 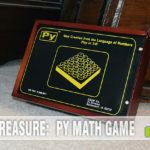 Looking at the choices, I think that my granddaughter who loves art would get a kick out of the final touch game. Looks like lots of fun. YES! I have to get the Art of Chill for the family! We’re all HUGE Bob Ross fans. That man was a saint, and his voice could calm a raging rhinocerous! These are really cool. 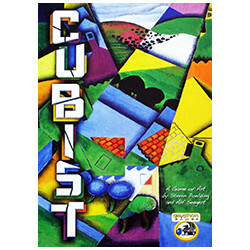 I’d like to try Cubist and Final Touch. We’re going to be playing some games tomorrow for the 4th! What a great roundup! I had no idea how many creative games were out there inspired by art! All of these games look like they are so great. I have not heard of a lot of these! I haven’t played any of them, but I’d love to try those Close Up games… very cool theme! The best artist in my family is by far my daughter. This is a wonderful collection of games. What a great list. I have never played any of these. So many game options! Such a fun topic! Can’t wait to check some out! I’ve never heard of any of these games. My family has a game night every week. I’m going to look into these games. The Art of Chill is a great game! We love Bob Ross but my wife purchased Art of the Chill sort of as a gag. We didn’t really think it would be all that good but we were pleasantly surprised! Really well designed and so much fun! I love Famous Paintings! What a great way to teach kids some art history. 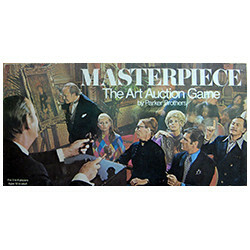 I’ve only played Masterpiece, but I sure would like to try Clash of the Titans or Famous Paintings.